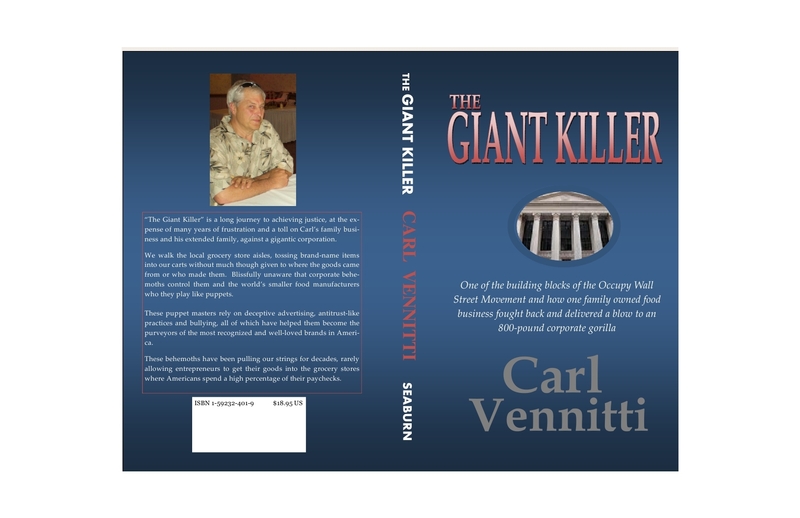 “The Giant Killer” is a long journey to achieving justice, at the expense of many years of frustration and a toll on Carl’s family business and his extended family, against a gigantic corporation. We walk the local grocery store aisles, tossing brand-name items into our carts without much thought given to where the goods came from or who made them. Blissfully unaware that corporate behemoths control them and the world’s smaller food manufacturers who they play like puppets. These puppet masters rely on deceptive advertising, antitrust-like practices and bullying, all of which have helped them become the purveyors of the most recognized and well-loved brands in America. These behemoths have been pulling our strings for decades, rarely allowing entrepreneurs to get their goods into the grocery stores where Americans spend a high percentage of their paychecks. The story of a family; their courage, faith, and determination, that even after having their American Dream crushed by the vast resources of the world’s largest food company, did something that no one before them had been able to do. Is the Occupy Wall Street movement on the right track? The people in the Movement are angry with the greed, deceit, corruption and cover-up tactics of the power brokers. This book also exposes one of our own; a highly regarded person that left public service to go to the world’s largest food company. How much more money can Nestlé’s make from this? 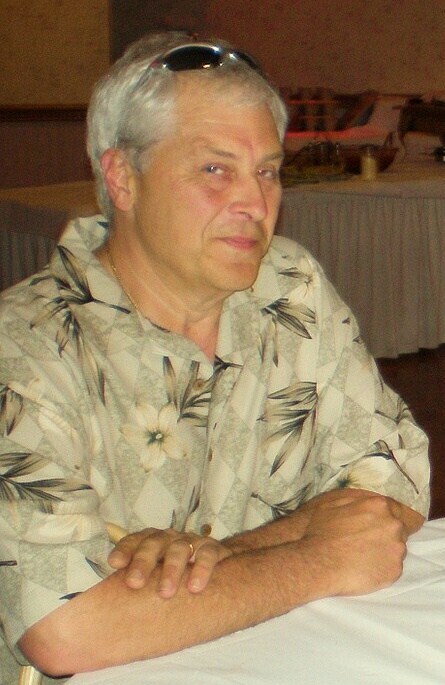 In July 2003 V&V Enterprises, Inc. retained Michael S. Culver, Esq. as the agent of record to investigate the potential of a creating a trademark for a newly formed business entity to carry out production, marketing, sales, and, ultimately, the trade marking of pocket sandwiches. A legal opinion provided by Attorney Culver indicated that the prospect of an Application to the United States Patent and Trademark Office (hereafter “USPTO”) would be a relatively simple procedure. Pocket Foods Corporation was formed as a MBE, and Attorney Culver, Esq., was retained as trademark counsel for V&V Enterprises, Inc. and Pocket Foods Corporation. On May 4, 2004, an Application was submitted to USPTO with a date of first use in commerce of May 3, 2004. On behalf of its client, Nestle Prepared Foods, Thomson CompuTrade discovered the new filing made by Pocket Foods Corp., with the USPTO, and alerted its’ client, Nestle. In house counsel for Nestle issued a Cease and Desist letter to V&V’s and Pocket Foods Corp.’s trademark counsel in June 2004, effectively thwarting the planned IPO by the small company. In December 2004, Nestle retained Holland and Hart, in Denver, Co., to file a suit in federal court on multiple charges of trademark infringement. In October 2005, Nestle engaged Kilpatrick-Stockton in Atlanta, Ga. to file Opposition against the trademark PF Pocket Foods Corporation (and design), Serial # 76590414. Pocket Foods Corporation and V&V Enterprises, Inc., were successful in the findings of fact and conclusions of law contained in the Trademark Trial and Appeal Board Opinion and Judgment against Nestle SA (as seen in the ‘Opinion’), the court categorized Hot Pockets Stuffed Sandwiches to be encompassed by the victor’s trademark. This particular trademark, registered under the now defunct category of Pocket Sandwiches, will be free of infringement liability, and is likely the last trademark to ever hold this classification. Of significant importance is the fact that the USPTO will never again issue any trademarks under the classification of “pocket sandwiches.” In other words, the trademark held, owned and controlled by Pocket Foods Corporation is likely the last one that will ever be issued by the USPTO. The factual documentation of corruption and collusion weave a stunning tale. The author of this book is Carl Vennitti and after taking 128 businesses to court over the word “pocket,” Mr. Vennitti is the only one to go the distance and deal a severe blow to the world’s largest food company and trademark bully. The book has been written to include audio enhancement, typical of a feature film soundtrack. With the demise of the bookstore (such as Borders, Walden Books, and so forth) this adaptation would pioneer new and exciting realms for the eReader market.